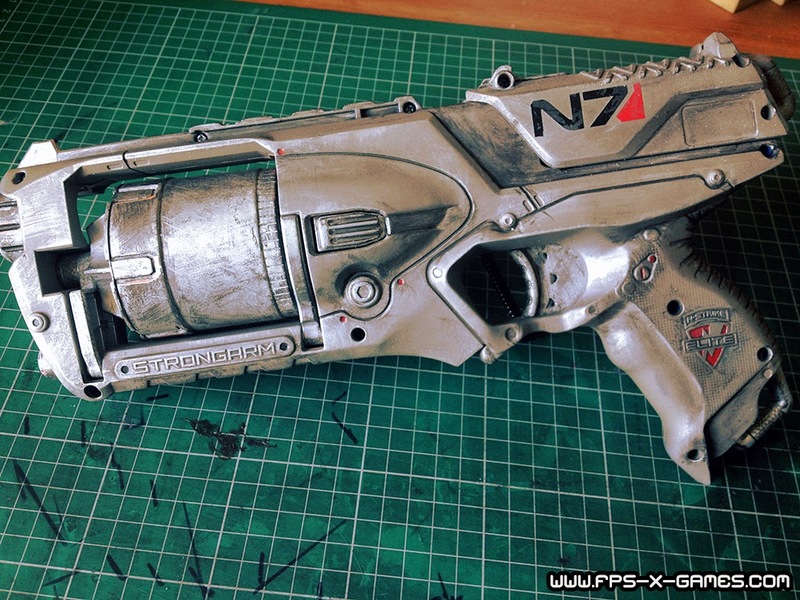 I recently decided to get stuck into a couple of cool projects, one of these projects is to do a range of custom NERF guns. I've seen loads of cool custom NERF gun project online, especially on Etsy and thought to myself "I could do that", so I did. Here's my first attempt on doing a custom NERF gun. 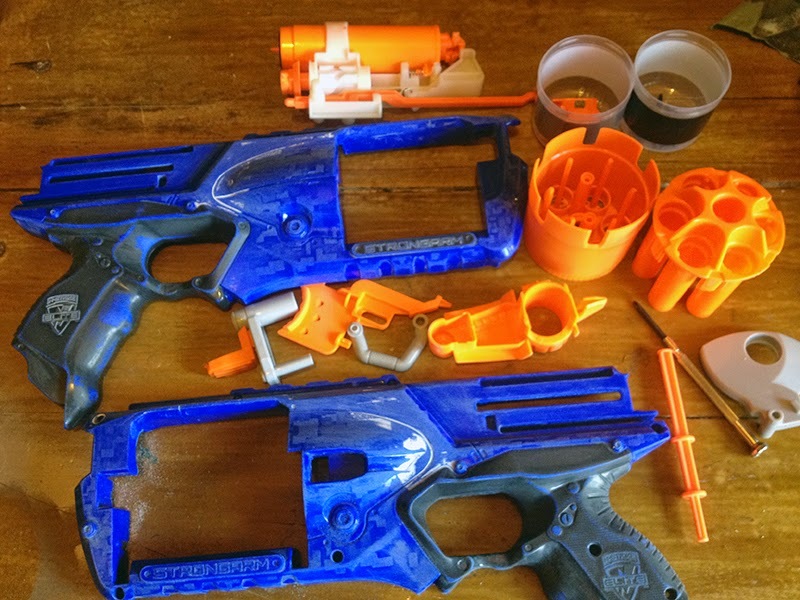 I used a Strongarm NERF as it looked pretty simple to take apart and reassemble. Nothing too ambitious. I decided at a later stage to add the Mass Effect code N7, just because lots of others did, plus it looks awesome! 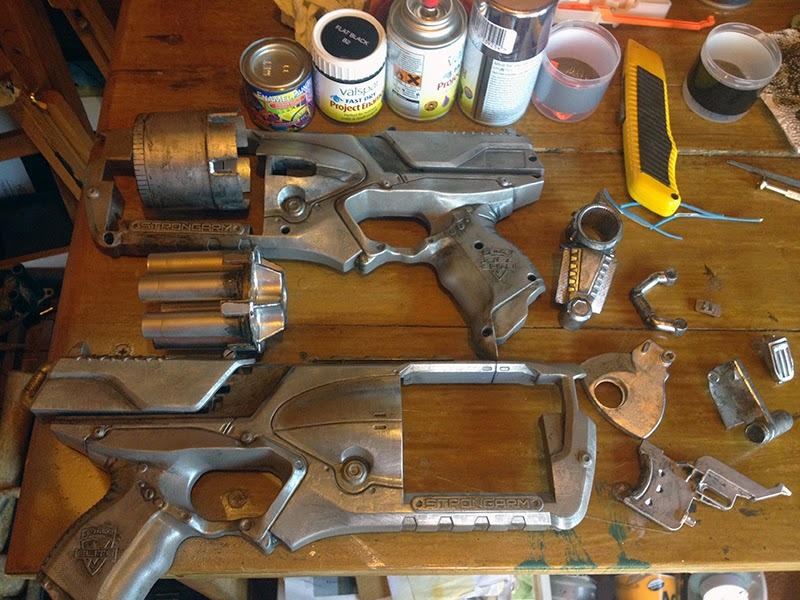 Firstly, I disassembled the gun, be sure to keep the screws, springs and smaller parts in a safe place, I use the lid from the spray paint can. Next I gave the main parts a good sanding. Once I was happy with the sanding prep I gave the NERF gun a grey primer coat, once that was dried I then gave it two coats of light matt brass brown color. Using Met 11 enamel paint I did a technique called drybrush, giving the gun a brushed metal look. Personally I think the colors worked out well, giving it that futuristic, light weight alloy look. I also added some small detail to the N-Strike Elite insignia plus I added the Mass Effect N7 logo! Once I was happy with the paint job I simply put it all back together. For my first attempt at such a project I didn't want to go OTT, hence the basic paint job and blog post. 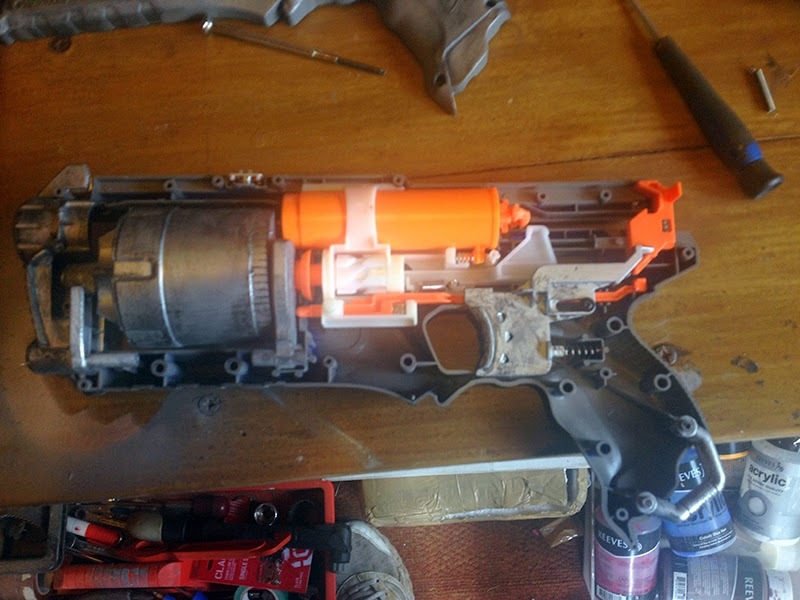 Let me know what you think guys, like I said at the start I plan to do a range of custom NERF guns and any pointers would be welcomed, but please remember this is my first attempt so be gentle!